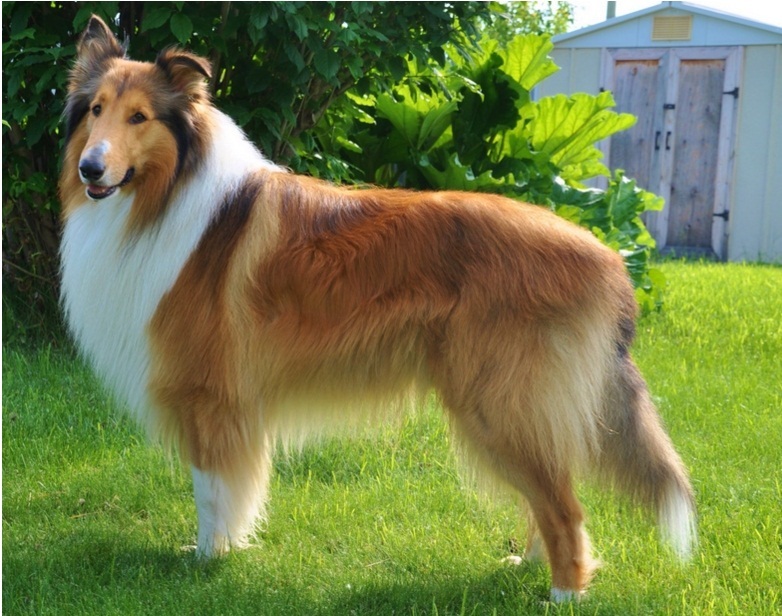 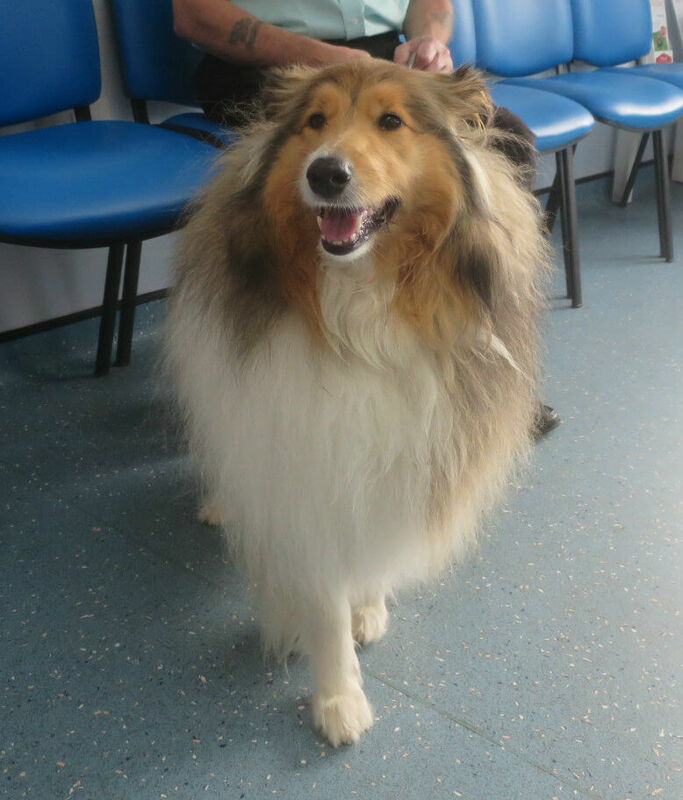 The Rough Collie or Longhaired Collie is a large to medium size working dog characterized by a wedge-shaped head which is light in comparison to its whole body, rounded muzzle, almond-shaped eyes, semi-prick ears, and a fluffy low set tail. 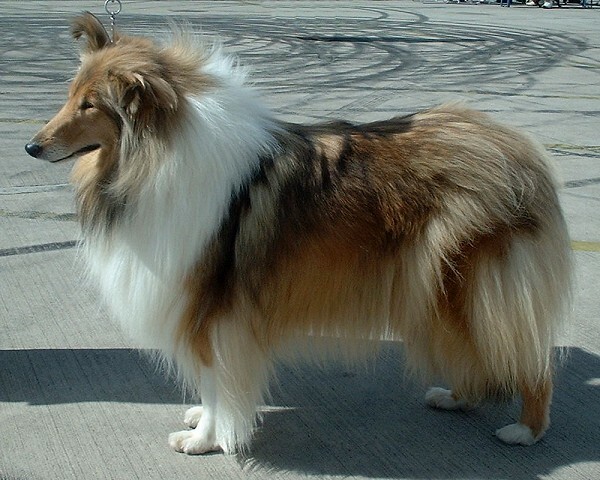 Originating in Scotland, this dog was color for its herding skills and excels as great family pets at present. 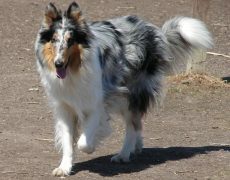 Color Sable, shaded sable, mahogany sable tri-colored, sable merle, blue merle, double merle, white. 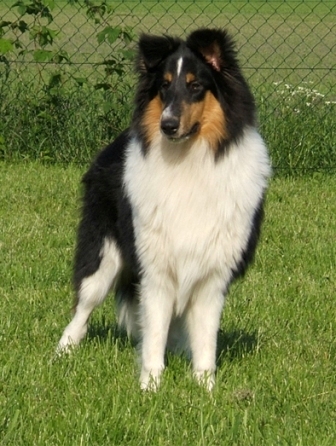 The Rough, as well as the Smooth Collies, originated in the Wales and Scotland region from the localized herding breeds. 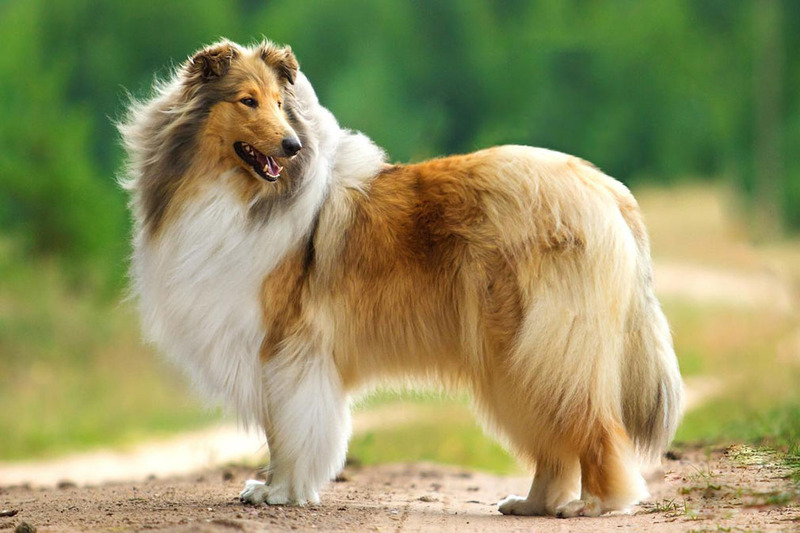 The Scottish kind was large, aggressive and strong, bred for herding sheep while the Welsh ones were small, friendly, nimble and domesticated used for looking after goats. They were bred with the sheepdogs of the English, when the latter spotted them at the Birmingham market, the outcome being dogs of long and short hair kinds. 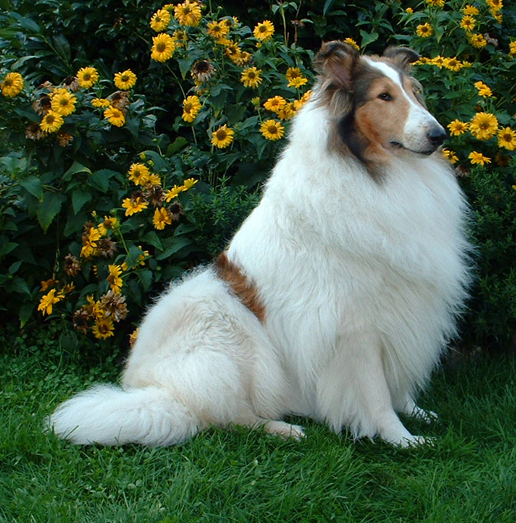 Post the industrial revolution; the Borzoi was crossed with the Collies, the result being dogs with a longer muzzle, which is also one of the significant features of the present day Rough Collie. 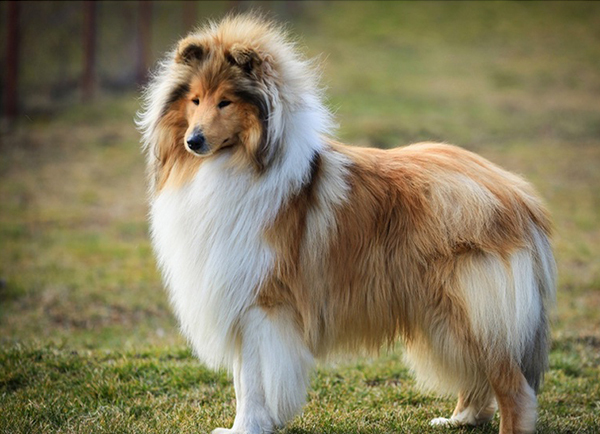 After Queen Victoria began owning a Rough Collie, it became an object of fashion. 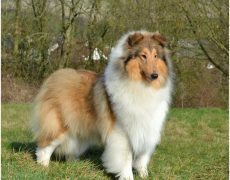 Its popularity spread everywhere, with the United Kingdom no longer using it for herding; however, in the United States it is still employed as a performance and sporting dog. 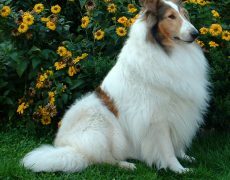 The Collie Club in England and America was formed in 1881 and 1886. 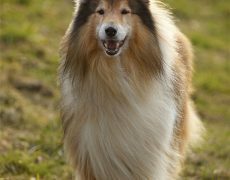 They are loyal and affectionate dogs who are incredibly protective towards their family and can go to any extent to protect their wellbeing. 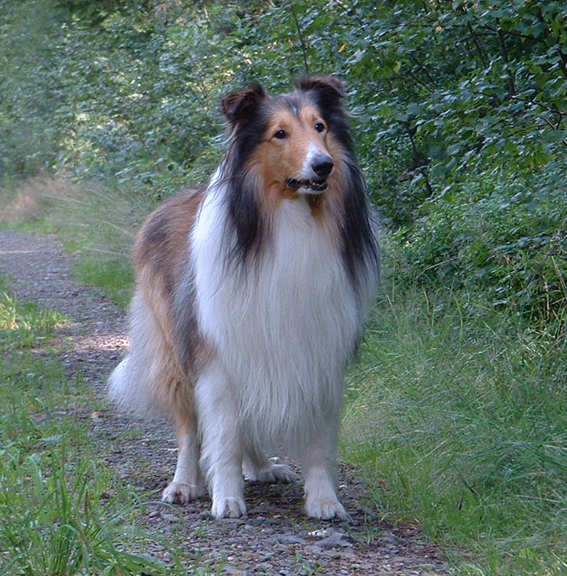 Enjoying every activity of the family, it is the car ride which fascinates them the most. 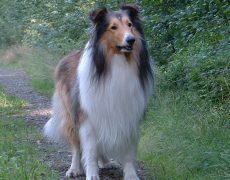 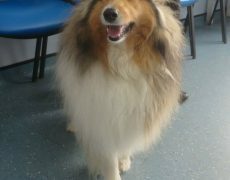 The Rough Collie is smart enough while dealing with strangers and might be shy at the onset, but friendly later once assured that the unknown person is no longer a threat. 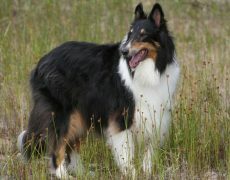 They are known for their excellent rapport with kids, even those whom they are not acquainted with. 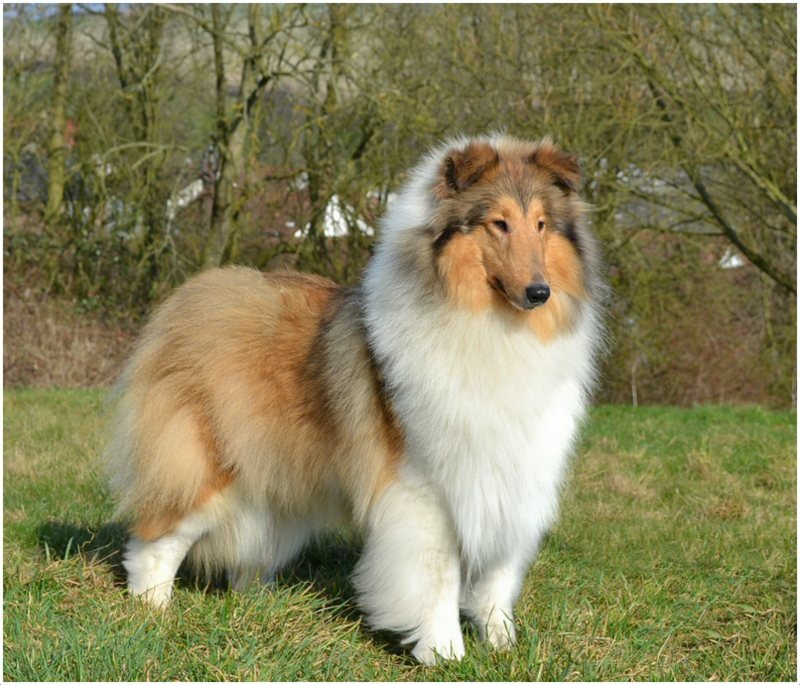 The Rough Collie would be extraordinarily watchful and protective of children of its family, keeping a keen vigil on them always. 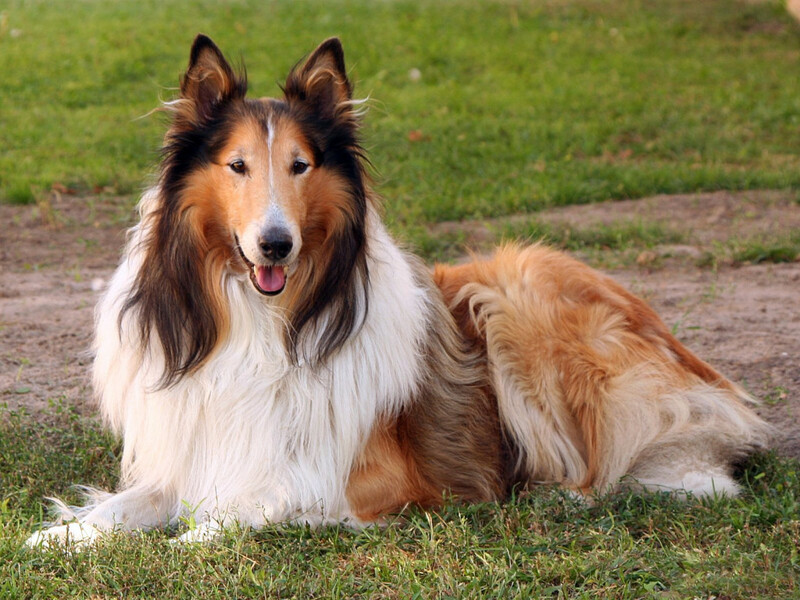 They also have a pleasant equation with other dogs and pets and are great guardians for smaller animals like rabbits, chicks, and goats. 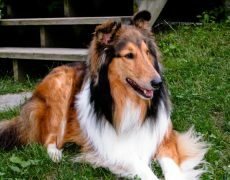 Because of their keen sense of intuition, sensitive nature and high intelligence level, they function well as service dogs. 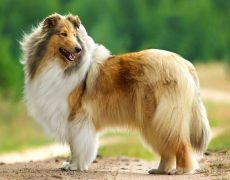 This depends from one dog to the other. 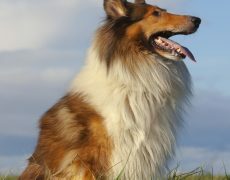 Some owners have spoken of their dog’s fascination towards plunging into the water and paddling with all its fours. 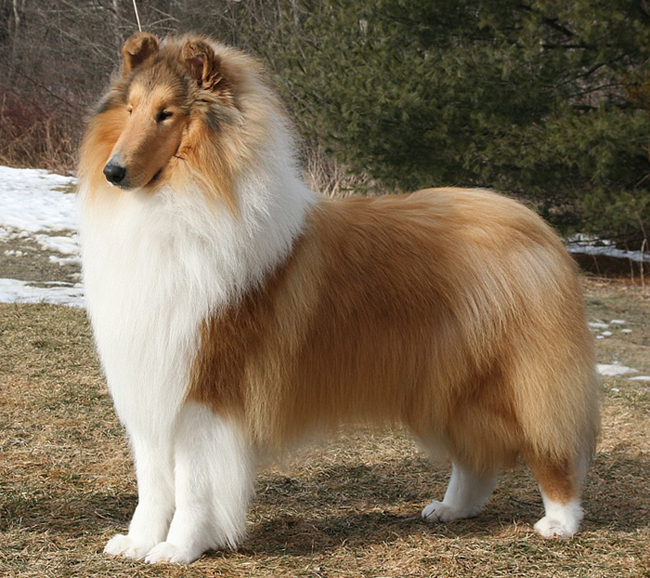 However, on the whole, most of them do not have a knack for swimming. 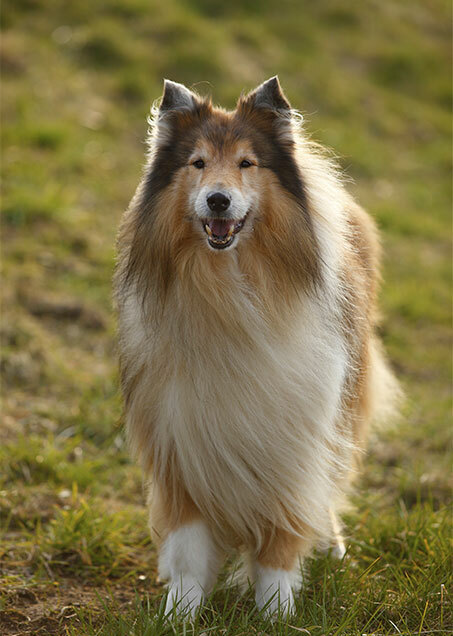 Because of their high energy levels, they need to be exercised regularly, sufficing with a long walk and plenty of playtime in a fenced yard. 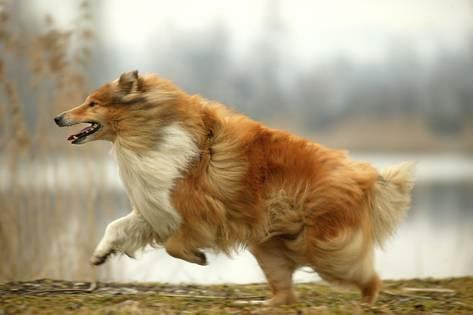 Do not take them out in extremes of temperature as they cannot withstand extreme heat or cold. 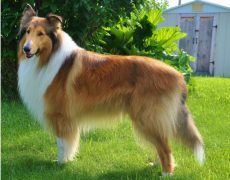 The Rough Colie has a straight, harsh and abundant outer coat, needing proper brushing two or three times a week. 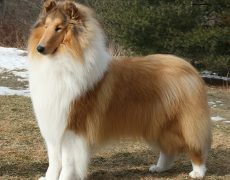 Bathe it in a six to eight-week span and also follow the other grooming needs like trimming its nails, cleaning its eyes and ears as well as brushing its teeth to ensure proper hygiene. 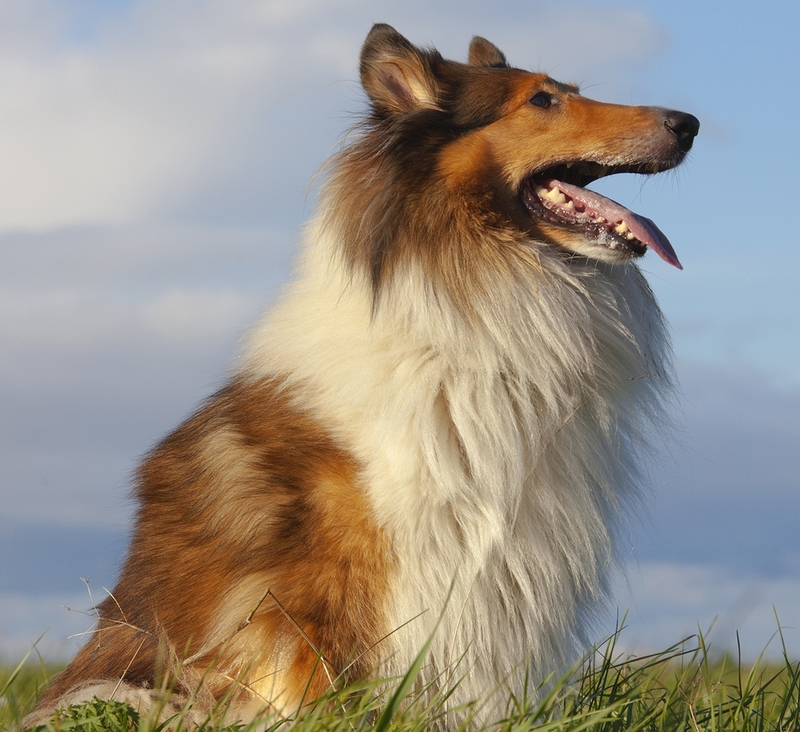 Though a healthy breed, the Rough Collies may have health issues like eye problems such as progressive retinal atrophy, and Collie eye anomaly (a genetic disease), hip dysplasia, bloating, epilepsy, and canine cyclic neutropenia. 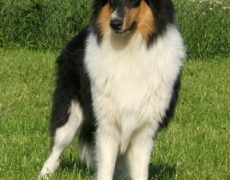 They are loyal with a pleasing nature and are easy to train since they have a high level of intelligence, though firm handling is needed to have proper control over them. 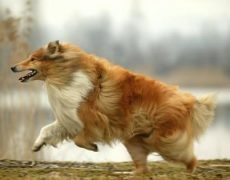 Since they are extremely smart dogs, the training process must be innovative lest they could get bored. 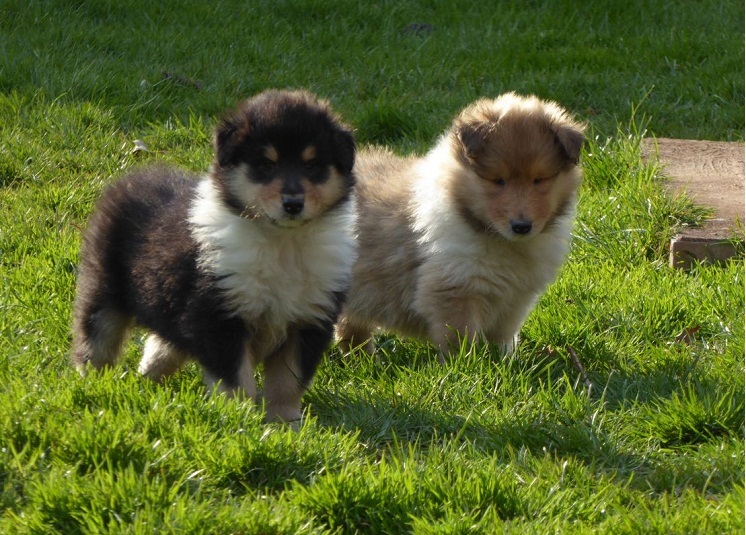 Socializing the Rough Collie puppies would help them in distinguishing between the good and the bad, thus making them change their outlook towards strangers and not being friendly to every unknown face they see. 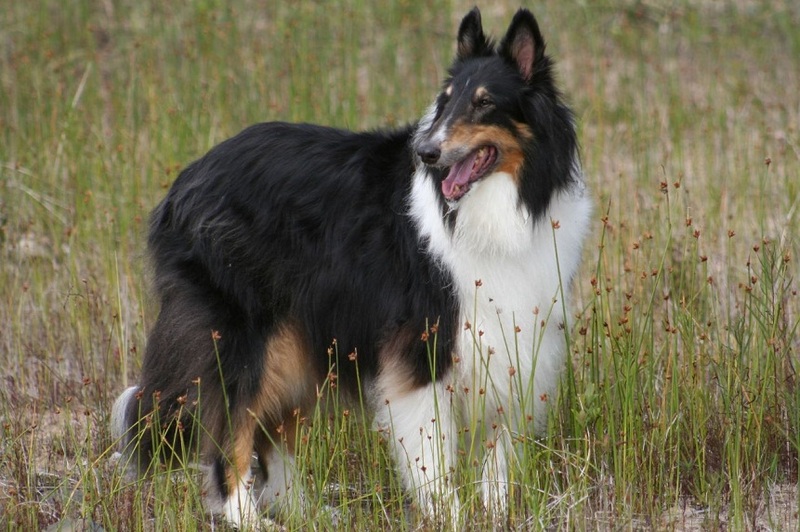 Housetraining the Rough Collies since its puppy days would help to get it into the habit of eliminating outside at a particular time every day. 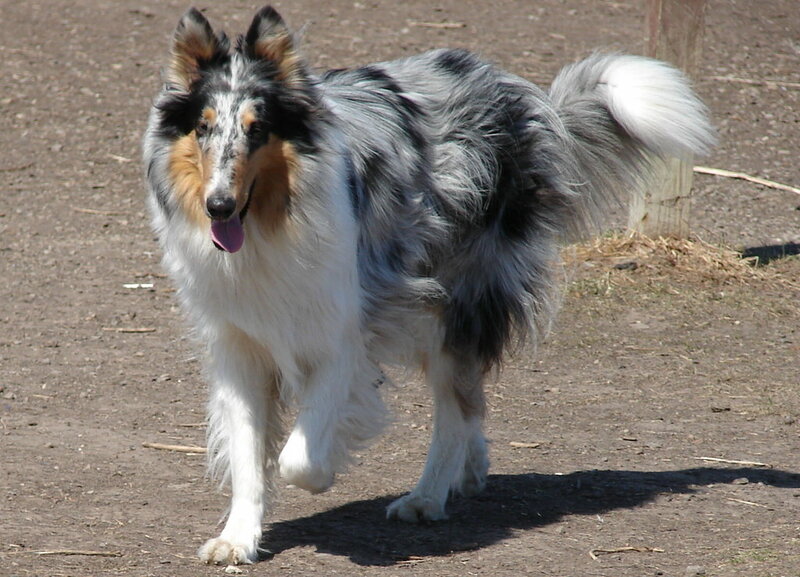 Because of their herding instinct, they may tend to chase. 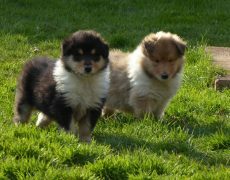 Thus obedience training is needed at an early age to keep them in control. 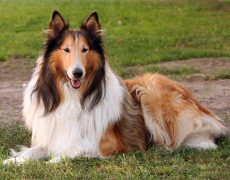 Besides a good quality dry dog food, you can also give include homemade food of measured amounts with the consultation of the vet.